One of the PRCC’s newest members is Le Vigne Winery, located on Paso Robles’ East Side. Le Vigne’s history began in the 1960s when Owner Sylvia Filippini‘s family bought the property that was then supporting hay and cattle. In 1982, the family planted its first Chardonnay and Cabernet Sauvignon grapevines to supplement demand for wineries in Napa and Sonoma. But it quickly became apparent that the newly-planted vineyards boasted suitable soils, climate, and coastal influence to result in high quality wines in their own right. Seeing this potential, the Filippini Family began estate production of their own wines in 1989. Additional vineyards were planted to Merlot, Syrah, Sangiovese and Cabernet Franc in 1998, and later, small blocks of Zinfandel, Grenache, Petite Sirah, Malbec and Tannat. The property is also complemented by 5 acres of Arbiquina olive trees. The winery’s name, “Le Vigne,” comes from the Italian for “the vineyard” and represents the impact of Italian culture, food, and lifestyle upon the family- Owner Walter Filippini having spent his youth on Lake Como and in his grandparents’ vineyard in Valtellina, Lombardy; later going on to excel in gastronomia, gourmet Italian food retail, restaurants, and becoming a partner in the Italcheese Company. Walter and Sylvia met through Italcheese, and the couple continue to work in that field, owning and operating Peacock Cheese, an import and distribution company handling high-quality cheese and food items from across the globe. Not surprisingly, cheese also plays an important role at Le Vigne, where Fromager Zina Miakinkova uses cheeses from the Filippini’s vast network to pair with Le Vigne wines for guests. With the company since 2003, Winemaker Michael Barreto came to Le Vigne with his own wine brand, Barreto Cellars, when he needed a custom crush facility. Today, he continues to make his own Spanish and Portuguese-influenced wines on site, in addition to a 60,000-case annual production for Le Vigne. Guests to Le Vigne’s spacious tasting room will find a wide selection from Le Vigne’s wine program, as well as a full-tilt gourmet shop which includes freshly-baked baguettes, international mustards, spices, cured meats, olives, vinegars, thirty types of cheeses, and a menu of house-made panini. For more information on Le Vigne wines, or to enjoy a tasting at their Paso Robles tasting room, please visit www.LeVigneWinery.com. We at the Paso Robles CAB Collective recently announced details concerning the second annual CABs of Distinction event, scheduled for April 22 through 26, 2014. 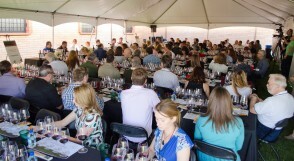 For a list of participants and happenings, including the brand new CAB CAMP option for sommeliers and qualifying industry professionals – as well as tickets to the Grand Tasting and other events, please see the recently posted press release HERE. We hope to see you at CABs of Distinction, glass in hand. Cheers! 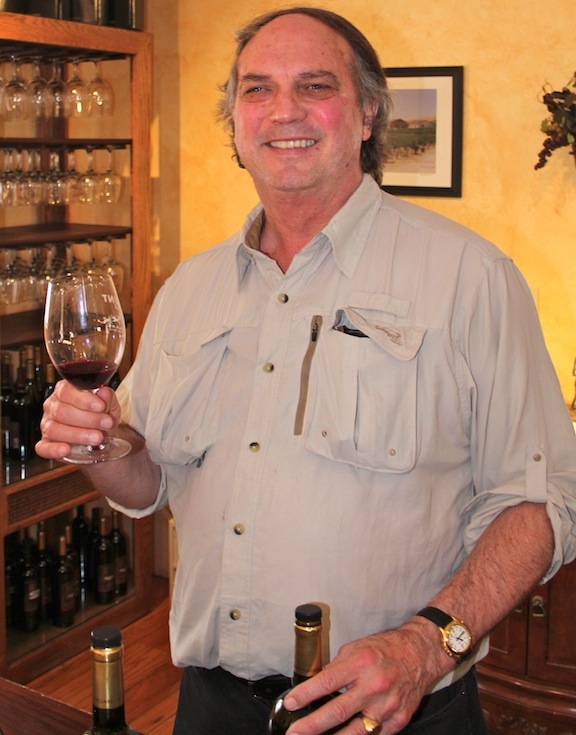 Located three miles west of Highway 101 on Highway 46 West, is the Hunt Cellars tasting room, whose Proprietor and Winemaker, David Hunt, is described as both a Renaissance Man and bon vivant. With a varied background in music, home security, and inventions (e.g. the invention of voice mail), Hunt is a trail-blazer in the wine industry, making and blending his wine by the gallon, rather than by the barrel. In a classic case of lemonade-from-lemons, Hunt claims an extremely sensitive palate as a consequence of having retinitis pigmentosa, a degenerative disorder that causes gradual loss of vision. Able to pinpoint differences between wines that are nearly-indistinguishable to the average palate, Hunt uses his blindness to his advantage by blending from several hundred separate gallons of wine, by sense of feel, instead of by formula or lab calculation. 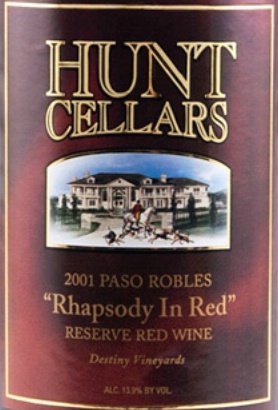 While some wines are made from outside vineyards, much of Hunt Cellars’ fruit is harvested from the estate property, Destiny Vineyard, named after his daughter, and meticulously made into award-winning Cabernet Sauvignon, Merlot and Bordeaux blends, among others. For more information on Hunt Cellars wines, or to enjoy a tasting at their 46 West tasting room, please visit www.HuntCellars.com. 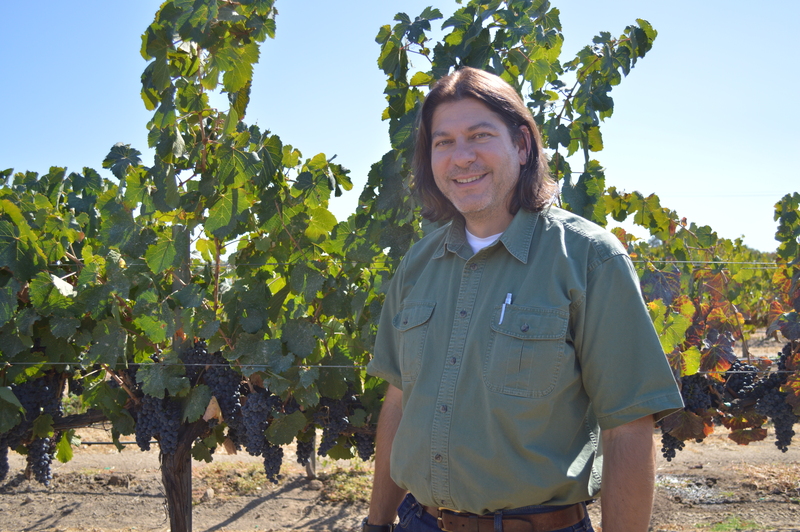 One of the newest members to join our Paso Robles CAB Collective is Calcareous Vineyard. Located off Peachy Canyon Road, Calcareous Vineyard was established in 2000 by father-daughter team Lloyd Messer and Dana Brown on one of the highest limestone plateaus on Paso Robles’ west side. Their 342-acre calcareous-soil vineyard fulfilled its promise and soon produced small, complex lots of Bordeaux, Rhône and Burgundy varieties. 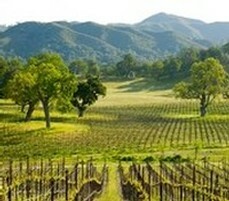 Since then, the Calcareous Estate has picked up two other vineyards: Carver Vineyard, in the York Mountain AVA, a sub-region on the western edge of the Paso Robles AVA, which is planted to Cabernet Sauvignon, Pinot Noir and Chardonnay; and Kate’s Vineyard, where Calcareous sources its Zinfandel, about 1/2-mile southeast of their tasting room. Like so many in the wine industry, Winemaker Jason Joyce started at Calcareous cleaning tanks and moving equipment. 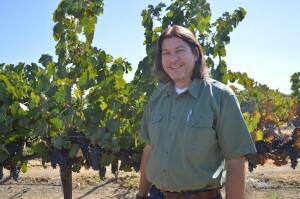 Working his way up the ranks, he became Assistant Winemaker in 2007 and Winemaker in 2010. His industry blog, “Chalk Talk,” is a window into his distinctive take on life first, wine second. Calcareous wines are produced using small lot fermentations, extended maceration, no use of chemical fining, premium cooperages, and minimum racking as the wine ages. Calcareous wines comprise four labels: white for estate wines, gold for York Mountain appellation wines, black for the reserve tier, and an estate showcase Bordeaux blend made in miniscule amounts called “Lloyd.” Additionally, the Calcareous winemaking team produces another brand called Twisted Sister, which uses fruit from partner vineyards which meet the company’s farming standards. At the southernmost end of the Paso Robles AVA sits one of the Paso Robles CAB Collective’s most distinctive producers, Ancient Peaks Winery (www.AncientPeaks.com). Owned by three prominent San Luis Obispo County families, Ancient Peaks is overseen by Director of Winemaking, Mike Sinor, who has played on the Central Coast wine scene – and racked up some of its highest wine scores – for over 20 years. Historic Santa Margarita Ranch plays host to Ancient Peaks’ Margarita Vineyard, which is just 14 miles from the ocean and the Paso Robles AVA’s coolest site. First planted to vines by Franciscan missionaries in 1780, Margarita Vineyard is famous for its distinctive geological composition, including a block made up of ancient uplifted ocean floor. Margarita Vineyard’s most spectacular soil profile is found along a block that we call Oyster Ridge, where the ground is riddled with petrified oyster shells that testify to the land’s origins as an uplifted sea bed. Volcanic protrusions, riparian rubble and fields of flaky shale are further evidence of the vineyard’s soil complexity. 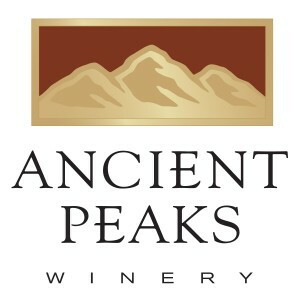 Ancient Peaks presents a line of estate wines as well as a reserve tier of “white label” wines. Favorites include the 2011 Merlot (featured by Wine Spectator as one of “12 California Merlots Under $20“) and the 2010 Oyster Ridge, a Bordeaux red blend of Cabernet Sauvignon (55%), Merlot (27%), Petite Sirah (11%), Petit Verdot (4%), Cabernet Franc (3%) from the eponymous vineyard block. 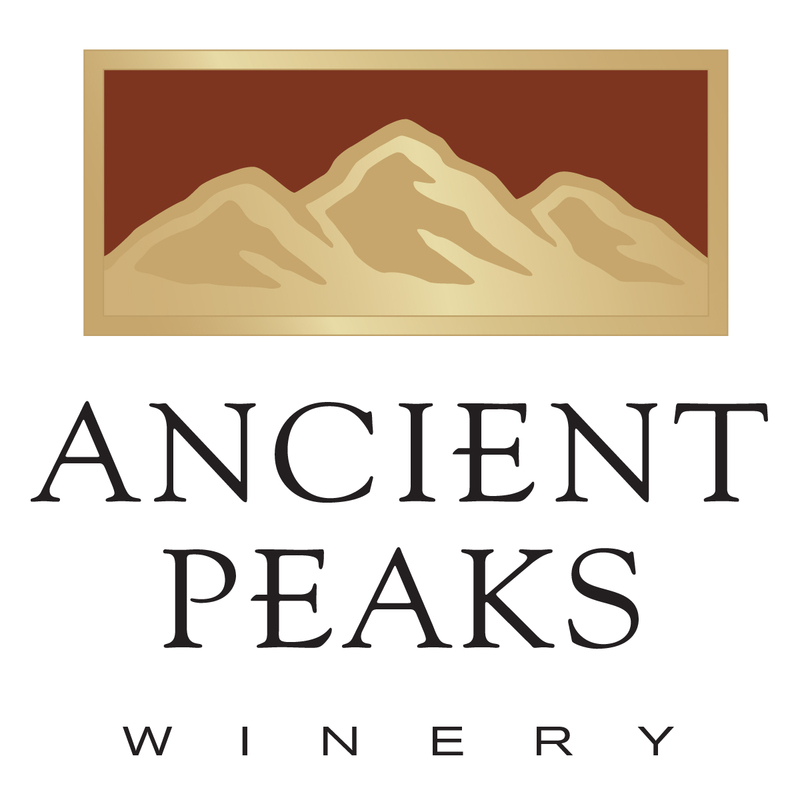 Tastings of Ancient Peaks wines can be had at their tasting room in Santa Margarita, which is open daily from 11 AM to 5:30 PM.